The new Stitched Flag dies from Kat Scrappiness are perfect not only for sentiments, but also for using up some of those 6×6 paper pads that we (I) like to collect :). 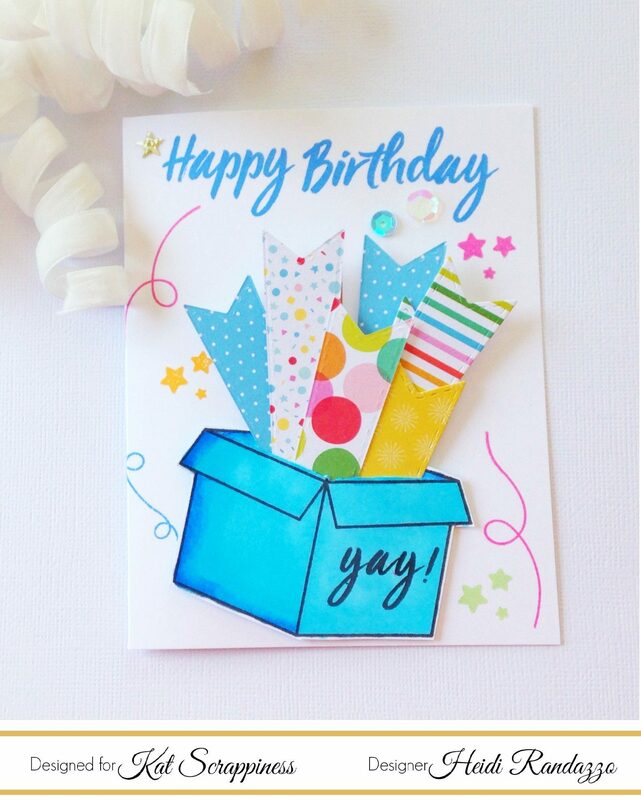 I used some fun, birthday-themed paper and the the Celebration Box stamp set from Honeybee Stamps to create a “party in a box”. I have a video below showing how this card came together. Be sure to head over to the the Kat Scrappiness shop to see everything that’s new this month. Feel free to use my coupon code: Heidi10 to receive 10% off your purchase. Thanks for watching!